Every year I have to make at least one pink holiday card! This time it's pink plaid a pink cup of cocoa! 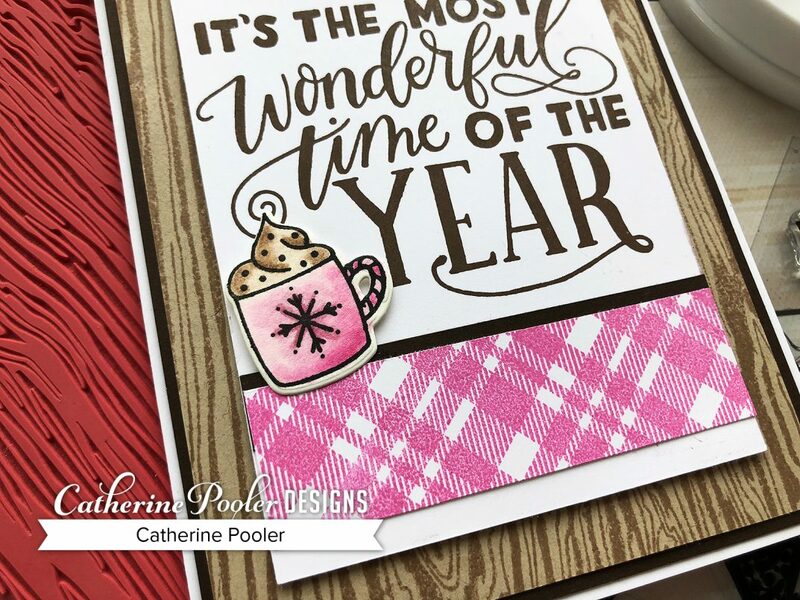 I love this card layout, just change up the colors, the background stamps (or use some patterned paper!!!) and switch out the cup of cocoa for a snowman, a snowflake, a Christmas Tree, holly and berries…so many possibilities! Leave me a comment and let me know if YOU are a lover of pink holiday cards like I am! All the products used are linked to the shop below…thanks for visiting!